Today I’m drinking local, a beer made by Union Craft Brewing Company out of my home state of Maryland. So it makes total sense it’s an IPA, cause nothing says Maryland like an Indian Pale Ale. 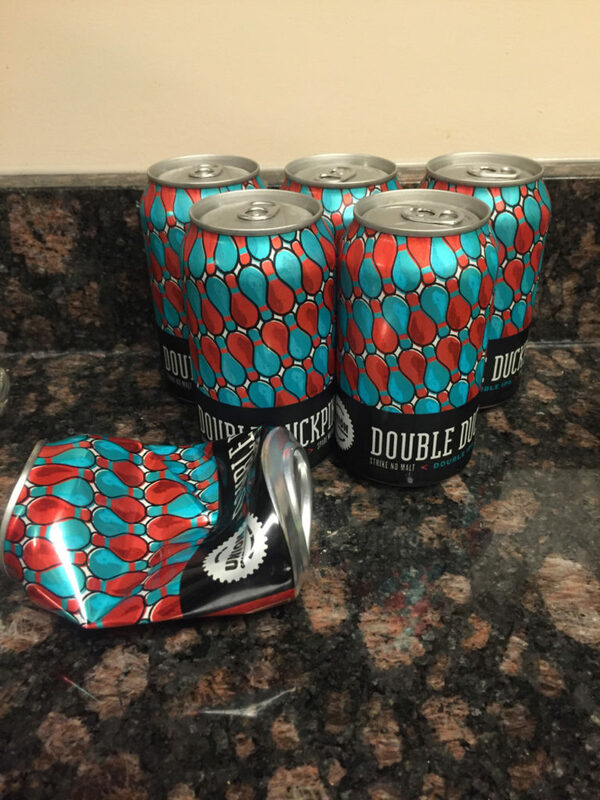 What’s interesting though, is the name – Double Duckpin, with the bowling pin art. For those who don’t know, duckpin bowling is an East Coast thing and is believed to have been invented in Baltimore. Read more about that here. The pins are smaller, the balls are smaller, and you get three shots. Needless to say, I got really bad at that growing up before I ever picked up a real bowling bowl. As for the beer, it’s a double IPA, so it’s really strong, with 8.5% alc. And it tastes exactly like… a double IPA. So it’s the perfect beer for really bad bowling. 4 stars.